Flame-retardant polyolefin comes in many styles and colors. 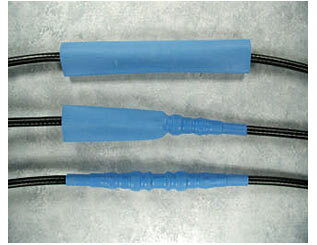 It has excellent electrical, chemical and physical properties that make it a good all-purpose heat shrinkable tubing. Heat Shrinkable Polyolefin resists a wide range of chemicals and oils, as well as sunlight, moisture and fungus. It will not melt, is mechanically tough, and will not split when shrunk. Application of heat over 121°C will shrink this tubing quickly to 50% of its supplied diameter or snug it down on the object that it is to cover. BD317T is a very thin wall heat shrinkable Polyolefin Tubing with a highly flexible, radiation cross-linked tubing used for insulating, jacketing and identification where saving space is important. Made from flame-retardant polyolefin, it has excellent electrical, chemical and physical properties representing a good all purpose heat shrinkable tubing. 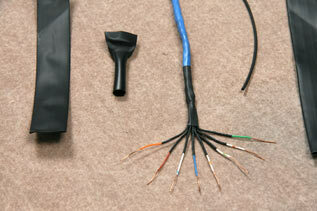 Low shrink temperature reduces install time. Application of heat above 100°C will shrink this tubing quickly to 50% of its supplied diameter or snug down on the object it is to cover. Resists a wide range of chemicals and oils, as well as sunlight, moisture and fungus. Heat Shrinkable Semi-Rigid Polyolefin Tubing is a tough, abrasion resistant tubing used for insulating, jacketing and identification. It will not melt, is mechanically tough and will not split when shrunk. Made from flame-retardant polyolefin, it has excellent electrical, chemical and physical properties representing a good all purpose heat shrinkable tubing. Application of heat above 135°C will shrink this tubing quickly to 50% of its supplied diameter or snug down on the object it is to cover. Resists a wide range of chemicals and oils, as well as sunlight, moisture and fungus. Melt Wall Polyolefin Tubing is a semi-rigid heat shrinkable tubing that is coextruded and selectivly cross-linked to provide a tough protective outer shrinkable jacket with a meltable inner wall. With application of heat in excess of 135°C, the inner wall melts and is forced by the outer wall to flow in and around all underlying surfaces and fill small voids. When cool, the tubing becomes one solid mass which is excellent for encapsulating delicate components from moisture and the attack of chemicals and solvents. Melt Wall Polyolefin Tubing is recommended for a wide variety of electrical, electronic and mechanical applications especially where a highly reliable one-step approach to jacketing, encapsulation and environmental sealing is required. Adhesive Lined Heat Shrink Tubing is a flexible polyolefin lined with a thin layer of special thermoplastic adhesive for excellent moisture protection and strain relief. 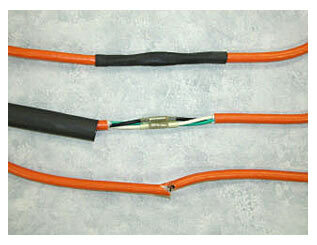 This tubing offers convenient protection of electrical components, wire splices or bundling of wires. 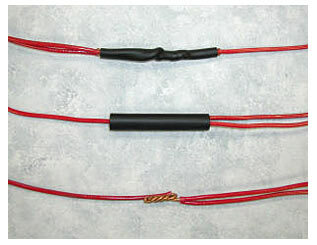 Automotive, truck and marine wiring splices and connections are quickly and easily protected from harsh environments. 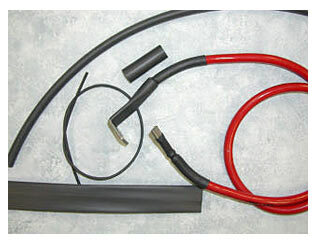 Very Flexible Heat Shrink Polyolefin Tubing has a high degree of flexibility with low shrink temperature and high flame retardancy. 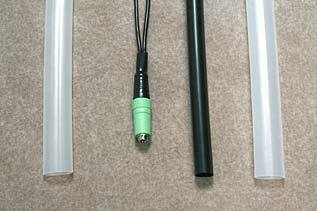 This allows for a wide range of product applications from a single tubing. Rated at 135°C, this tubing has been engineered to offer a low shrink temperature of 100°C. This allows the tubing to shrink rapidly, thereby minimizing heat exposure and possible damage to sensitive substrate materials or components. Very Flexible Heat Shrink Tubing is ideal for aircraft/aerospace assemblies where flexible wire bundling and fire-resistant covering of components is required. 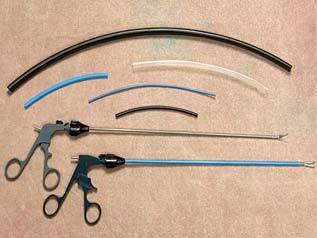 BD318 is a flexible, heat shrinkable tubing with superior electrical properties and was developed to meet the most stringent medical application requirements. Made from medical grade polyolefin, it has excellent dielectric, chemical and physical properties. Application of heat above 121°C will shrink this tubing quickly to 50% of its supplied diameter or snug down on the object it is to cover. Resists a wide range of chemicals, such as hexachlorophene (pHisohex), saline solution, povidoneiodine (Betadine), benzalkonium (Zephiran), alcohol, as well as moisture and fungus.